– Featuring 33 leagues, over 600 licensed teams, and 16,000+ players. – March toward glory in 34 authentic stadiums. – Play along with real-world fixtures from top leagues. – Earn and trade, or buy and sell FIFA players to create your own fantasy team. – FIFA 14’s new Touch Flow Controls put the excitement at your fingertips. – Classic modes like Manager, Tournament, and Kick Off are available for purchase in-game. What’s new in the apk v1.3.6 unlock? – FIFA World Cup ™ 2014 FIFA BRAZIL IS ALREADY HERE! – Come out to the field with the officially licensed national teams and completing the form. – We even have the ball Adidas Brazuca! – Matches Compete in the new week and prove themselves on the international scene. Install the apk, extract the data to Android/obb using 7zipper on Android or 7zip on PC, and enjoy the game offline. NO MORE PAIN OF UNLOCKED ONLINE! Special thanks to @Ardid Khan at FB: Android Big size games for his contribution of the fully unlocked apk. What’s new in the apk v1.2.8? Install the apk, extract the data to Android/obb using 7zipper on Android or 7zip on PC, and play the game. To unlock the game, you need to play the game online for that time. Note: This apk was tested and works well on galaxy S5 (Android 5.0.1). The data is only for APK v1.2.8. You must download data corresponding to its apk version! 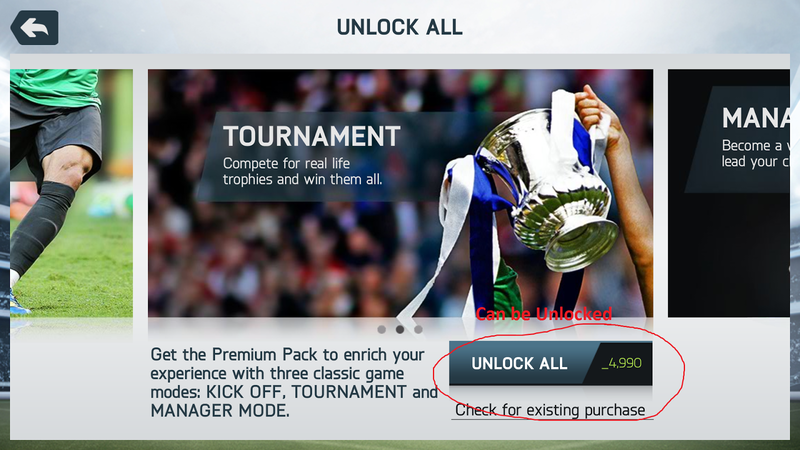 To unlock the game, you need to connect the game to the Internet, and the game MUST show the money tag, e.g “_4990”. 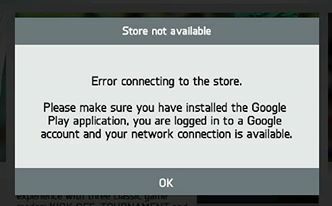 If the game does not show the money tag, you will face the error “Store not available, Error connecting to the store”. If you face the error, try to install other apk versions, or setup your google wallet setting. What’s new in the apk v1.3.6? – Then click on restore purchase. – Enjoy the full unlocked game. – Play the game online for 1st time to unlock the game. – Then play the game offline. What’s new in the apk v1.3.4? – Thanks for playing FIFA 14. Get in there! – Turn on Wifi (No need internet). What’s new in the apk v1.3.2? – Sign into Google Play Games to unlock achievements and climb the leaderboard. – Ergonomic and visual improvements, behind-the-scenes adjustments, and more! What’s new in the apk v1.2.9? – Click on “CHECK FOR EXISTING PURCHASE” to enjoy the full features. If the game does not unlock using the above instruction, you can use the save game to unlock the game, but rooted phones or tablets are required. – Run the game and enjoy the full game. Update unlocked guide for v1.3.6. It can be unlocked using FREEDOM app for root phone. For non-root phone, in case you don’t have extra device, what can you do? For me apk v1.2.8 works very well on S5 and Optimus G.
the link is fixed. you can download the backup file normally now. have fun! J’ai un Android 5.1.1 ça peut marcher ??? Sir is this game have commentry? To be honest, I didn’t check that feature. In the game description, they didn’t mention about that. I’m sorry, please test it yourself. You should install the apk v1.2.8 instead. It’s offline and unlocked! The apk v1.2.9 will be unlocked only when you use titaniumbackup data. That means you need a rooted phone to do so. Please install the apk v1.2.8 as I have just updated. You must download its corresponding data also. Play the game online to unlock for 1st time. The game was tested and working perfectly! Please wait for a while. I will check the problem soon. It’s strange… I don’t have save file for the apk v1.2.8. Please do a clean installation with the apk and data downloaded from F4P only. 4. Launch the Game ONLINE @1st time. 5. Press [Check for existing purchase] in [Play Tab] to unlock all. 5. Launch the Game ONLINE @1st time. 6. Press [Check for existing purchase] in [Play Tab] to unlock all. Maybe you’re right. I don’t have any kitkat phone at present. Try PES 2015 Mod. It is not as fancy as FIFA but it is worth for trying. what is your android version? is it rooted? did you install any hacked tools on your phone? Okey, I have just updated a new instruction for the apk v1.3.6. However, I don’t have any Kitkat phone to test. Please test the new method and report your result. Good luck and cheers up! To be honest, I have never experienced Android 6.0 before, so I dont know. If you use the provided apk and data, and follow my instructions carefully, it can work. If it still does not work, root your phone to process further. OR try another game. which android version are you using? In case of lollipop, you must install the apk v1.2.8 or apk v1.3.2. The apk v1.3.6 does not work properly on lollipop. moreover, you MUST read my instruction carefully. My phone using lolipop 5.0.2 is not working! Nothing happend. It’s just normal version: not unlocked yet! Sir I’m on 5.1.1 lollipop and I can’t see to unlock FIFA 14 no matter what version I use. Did you use the apk and data from here or from another website? If those all does not work, try to use the method for rooted phones or play other games. The link is still working well. Try to clear your browser cache or switch to another browser. I have never experienced android 6.0, I can’t help. Please read the previous comments. It will surely provide you some helpful information. I am not sure if you have read the whole post because there is a lot of useful information in the post that can help you to unlock the game. You should try all possible methods that I have mentioned in the post and in the comments too. I can’t provide better support if you just say you can’t unlock the game. I wonder if Titanium backup data can be useful?! Hi…I am running Android 4.4.4 kitkat…The Game is Installed with Data…opens…and when I click check for existing purchases….it says playstore not downloaded or internet connection not available…or you are not logged in google play…I downloaded version 1.3.6 and 1.2.8…but the problem is same…what to do?? Sir my Phone is android 5.0 lollipop and I have both 1.28 apk n 128 obb but still it’s struck.?? Please help me Sir please. How to remove error to connecting play store n unlock full game?? Does that it didn’t work for them should visit the site below it has all modes already unlocked. It does not matter whether the game is not presented on Google Play, you can still unlock the game. Moreover, if the game does not show the money tag as mentioned in the post, you should try to fill your info in your google wallet, or do any 1st purchase on Play store. Sir but when I try to extract data 1 it is only 532 mb must be it 1.25 gb….. and when I downloaded 2 data and unzipped it …. shows corrupt…. but any i will try the way in that video…. hope it will work… thanks for your reply…. You don’t need to enter credit card info, just skip it. Then in “address book” / “add an address”. You can add on fake address, maybe a US address would be ok. Try the game again and see. have download all the required fifa14apk obb file and have extract them to their required location and have also downloaded the Data file but I can’t extract it each time I try extracting it,it’s says Encryption found!(rarEncryptedException). Don’t rename the downloaded file. Download 7zip or peazip, and install it on your PC. Open the 1st part (.zip.001) using the software. Does this game work on marshmallow???? Yes, but it depends on your google account whether the game can be unlocked or not. 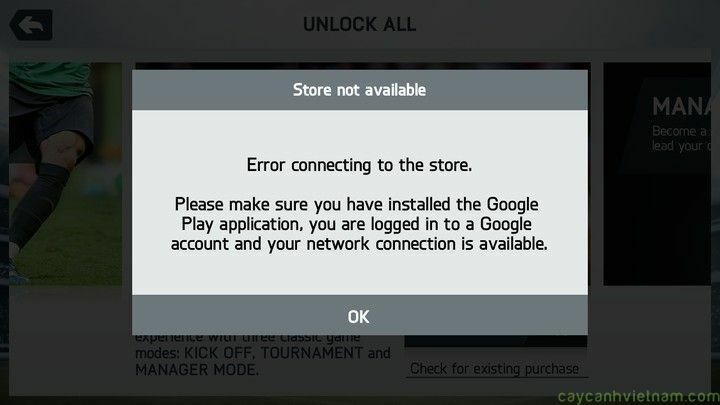 If you can’t unlock the phones, try PES 2017: http://free4phones.net/pes-2017-apk-v0-1-0mod-unreleased-android-4-0updata-for-android/ . Congratulations! Did you buy anything on Google Play using your google account that you used to unlock the game? Since, until now, I haven’t clearly understood why only some people can unlock the game. If the question is too personal, please skip it. Hey is the data stil working for non rooted phones…?? Hey admin,upload the game from “www.androidgamezonebd.com” v1.3.6.it will work for every device.it is fully unlocked.and do not need to unlock via online.you will find the external imformation on the website,just visit there. Hey everyone fifa 14 is a trouble.now a days unlocking fifa 14 is similer to wining a war.i have suffered a lot for it.after trying for 63 days i was succeded to unlock it.i have uploaded the game to zippyshare.it is fully unlocked.so you don’t have to unlock it.you can play directly offline.no need to do anything.just wait i will share the link. 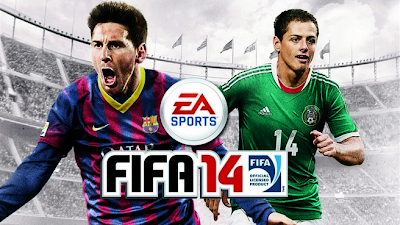 Finaly all things are ok.I have uploaded fifa 14 into 5 parts.the links are:1st: http://j.gs/8Ojn 2nd: http://j.gs/8Ojq 3rd: http://j.gs/8Ojr 4th: http://j.gs/8Oju 5th: http://j.gs/8Ojv .thats it.after downloading put them into one folder and extract the 5th part using zarchiver.you will find apk,obb and etc.ignore everything “just put the obb file on android/obb and install the apk”.thats it play offline and you will found the unlocked fifa 14.any problem i am on facebook “Android Big Size Games”.now injoy fifa 14. Great job!!! I really appreciate your contribution. Thanks a lot. LoL! Hello mobimas store the game on drive or on any other storage and then add links on your post.i have tolerate much for this game and now i want nobody to feel it again. The links and post is updated. Great job! Thanks #Ardid Khan and #Free4phones for this game but the APK Mod 1.3.6 on mediafire link is dead. File doesn’t exist. Game data link is working on mediafire. Please fix the apk mod link. the apk link is still alive. please clear your browser cache and try it again. if the problem insists, I will provide you an alternative link. The file you attempted to download has been previously claimed by a copyright holder through a valid DMCA request and cannot be downloaded. Hello guys,please be imfromed that any apk will work for this.just make sure that it is v1.3.6.remember the size of apk is 16.2mb.you can download it from anywhere but you must download the obb from here. Game is working. Full unlocked all mode. Tested on android 6.0 galaxy s6 edge. Thanks for the game. Please I downloaded this game as instructed above and placed the parts in obb file as instructed, but the game still refuses to load, it will open, show me tournament and everything like a normal game, but when the game is about to load, the game will close abruptly. So frustrating, have downloaded many versions but still can’t play this game. 08039468815…..here’s my watsapp no, please help! what’s your android version? phone model? installed apk and data version? Working perfectly now….. Was doing it the wrong way before, repeated the process and everything was fine. Very grateful,….. It doesn’t play champions league? I installed apk 128 and a av odd 136 but renamed it to 128 it showed blank pls what will I do? You should install the (apk mod +data) v1.3.6 rather than the apk v1.2.8. Make sure that the data v1.3.6 is also modded and is different from the official v1.3.6 data. My recommendation is to use a Firefox or Chome to download the files. Don’t use Adblocks or Noscript addons. Sorry. I don’t have such a file. What about the origin?? It shows origin is not available. How to fix that? did you try the unlocked apk and data? If you install the apk+data, you don’t need to unlock the game that way anymore.